I'm 62 years old and concerned that I might lose my job. If that happens, would I be able to retire early on the $500,000 I have in my retirement accounts? --Michael M.
The answer comes down to how much annual income you can realistically expect to count on the rest of your life if you stop working now and whether that income would be sufficient to fund a retirement lifestyle you consider acceptable. It's impossible, of course, for me to give you a definitive answer without having a lot more specifics about your finances as well as what sort of post-career life you envision. But I can suggest a process that should at least enable you to come away with a decent idea of how you might fare. Let's start with estimating your potential retirement income. A half a million bucks is an impressive sum and certainly a lot more than most people have managed to accumulate. But assuming you'll need to pull income from your $500,000 for at least 30 years -- a reasonable assumption given today's long life spans and the fact that you don't want to risk depleting your savings stash too early in retirement -- you're probably looking at drawing roughly 4% of your nest egg's value initially and then increasing it for inflation each year to maintain purchasing power. So we're talking about real, or inflation-adjusted, income from savings of somewhere around $20,000 a year. You can start with a smaller draw, say, 3% or $15,000, if you want more assurance you won't outlive your savings. Or you can pull out more, maybe 5% or $25,000, if you're willing to take a greater chance of running out of savings late in retirement in return for more spending cash in the early years. By going to this retirement income calculator, you can see how long your money might last at different withdrawal rates and for periods longer or shorter than 30 years. But $20,000 a year is a good ballpark estimate for how much sustainable retirement income you should be able to get from your $500,000 in savings. Calculator: Will you have enough to retire? You'll also receive income from Social Security. You don't mention what your current salary or earnings history is, so I can't estimate your Social Security benefit. But just so we have a figure we can use to continue with this example, let's assume that you earn $75,000 a year, which would result in an annual Social Security benefit of roughly $17,000, if you start collecting at age 62 (more on that later). That amount will be adjusted annually for inflation. (You can -- and should -- see what size benefit you would actually qualify for at 62 and older ages based on your career earnings by going to Social Security's Retirement Estimator tool.) Add that $17,000 from Social Security to the $20,000 draw from savings and you're looking at retirement income of about $37,000 a year. If you'll have other sources of retirement income -- maybe you'll receive a pension, work part-time or tap home equity by downsizing or taking out a reverse mortgage -- you should figure that in as well. But for the purposes of this scenario, let's go with $17,000 in Social Security and $20,000 from savings for a total retirement income of $37,000 a year. The question you then face is whether you can you live on this income. You can get a quick sense of that by comparing that $37,000 (or whatever the actual figure is that you arrive at) to your current income. In this scenario, you're looking at quite a drop, from $75,000 to $37,000. But that doesn't automatically mean you'll come up short. Your overall spending could very well drop as well. 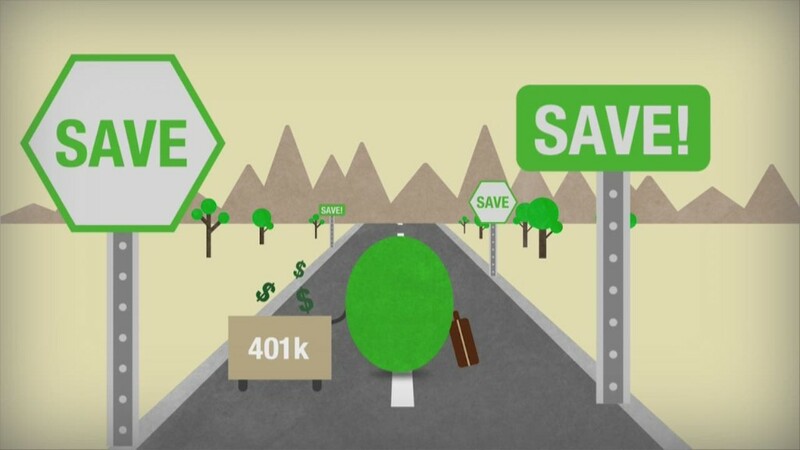 After all, you'll no longer be contributing to retirement accounts, you'll likely pay less in income taxes and other expenses may decline or disappear as well. That said, recent research from the Employee Benefit Research Institute shows that it's hard to generalize about retirement spending. Many retirees actually spend more money after they retire, at least initially. So the best way to gauge your spending needs is to create a retirement budget, which you can do online with a tool like BlackRock's Retirement Expense Worksheet. You'll come away with a more accurate estimate of spending if you also do a little "lifestyle planning" while creating your budget. And while you're crunching the numbers, don't forget to factor in health care costs, including health insurance coverage, which you'll have to buy on your own for the years until Medicare kicks in at age 65. Calculator: How fast will my savings grow? Once you have a solid estimate of how much money you'll have coming in and how much going out, you should have an idea of whether retiring at 62 is realistic. If you find that the income your resources can now generate isn't enough to support an acceptable standard of living, you'll have to start thinking of other options. The best scenario would be if your fears of losing your job prove to be unfounded. In that case, you could remain at work at least until you reach Social Security's full retirement age, in your case 66. This improves your situation in several ways. Even if you don't contribute to your retirement accounts, four more years on the job will give your nest egg a chance to grow. There are no guarantees, but a 5% annual return would boost the value of your account from $500,000 to just over $600,000, which in turn would boost your sustainable annual withdrawal from $20,000 to $24,000. On those two scores alone, you would be looking at an extra $10,000 a year in income, or about $47,000 vs. $37,000. And since you'll be drawing on your savings for four fewer years, there's less chance you'll run out. If you do lose your job and can't find another, then you could find yourself forced into early retirement, as was the case for many older workers during the financial crisis. But even if that happens there are ways you may be able to improve your prospects. Instead of taking Social Security at 62 for example, you might live on savings alone for four years until age 66, at which point you would take the higher Social Security benefit and combine that with draws from savings (which will now be smaller than the amount you would be withdrawing had you taken Social Security at 62). You'll likely do better over the long run following this strategy than going with the smaller Social Security benefit at 62, unless you have good reason to believe you'll die before you hit your early '80s, which is unlikely if you're in good health. You'll want to be careful that you invest your savings sensibly and that you don't overspend in those early years when you're relying heavily on savings. To the extent you can limit withdrawals early on -- perhaps by working part time or just by keeping a tight rein on expenses -- you'll also improve your long-term retirement outlook by giving your savings stash a better chance to grow until you begin tapping it later on. The unfortunate truth is that many people end up retiring sooner than they planned for any number of reasons. Which is all the more reason as you enter the later years of your career to do a retirement check-up (or hire an adviser to do one for you) to determine whether you'll be prepared to retire, even if you're forced to do so earlier than you prefer.